1 Named after John M. Phillips for the many donated trees and swimming pool. Also known as Dilly’s (after the family name Dilla who once owned the land) Grove, Southern Park and Carrick Park was originally a Trolley Traction Park with vaudeville acts, roller coasters, merry go rounds and other attractions. Dilly’s Grove was part of the Coffey Estate bought in 1904 for $29,000. 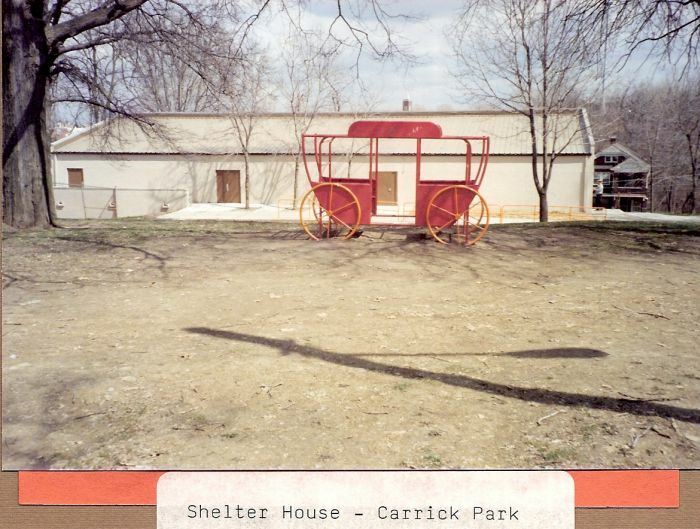 2 Before the park was named for John M. Phillips it was called Carrick Park. Here is a letter to John M. Phillips requesting a meeting be held in 1914. 3 This photo might be also at a club on Provost Road. 4 This is the listing of the events in 1917 at the park on a particular day in August, 1917. Named after John M. Phillips for the many donated trees and swimming pool. Also known as Dilly’s (after the family name Dilla who once owned the land) Grove, Southern Park and Carrick Park was originally a Trolley Traction Park with vaudeville acts, roller coasters, merry go rounds and other attractions. Dilly’s Grove was part of the Coffey Estate bought in 1904 for $29,000. 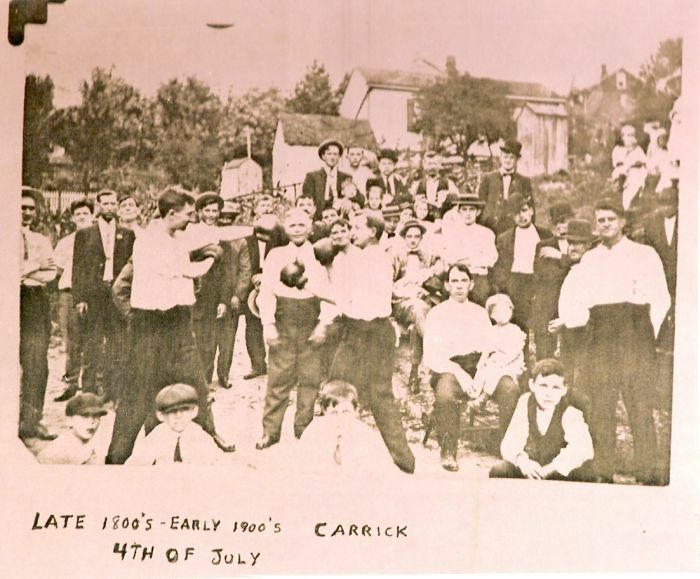 Before the park was named for John M. Phillips it was called Carrick Park. 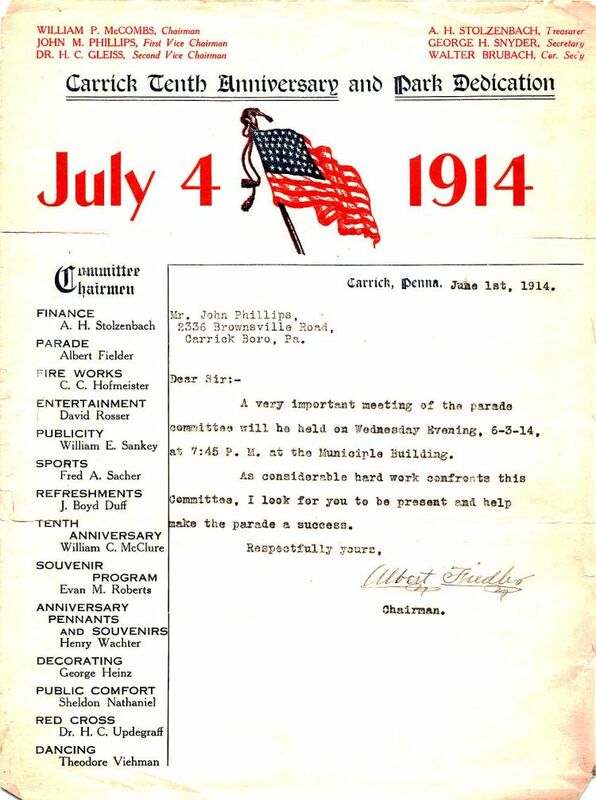 Here is a letter to John M. Phillips requesting a meeting be held in 1914. This photo might be also at a club on Provost Road. 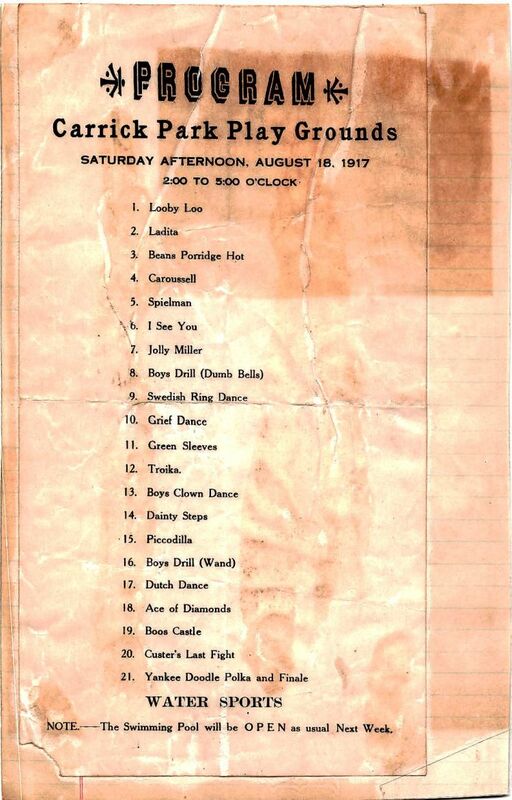 This is the listing of the events in 1917 at the park on a particular day in August, 1917. 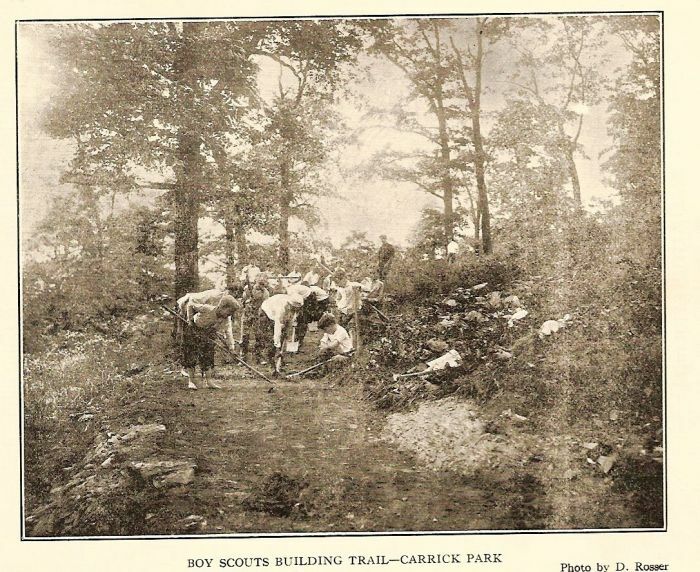 == Boy Scouts in Carrick Park. 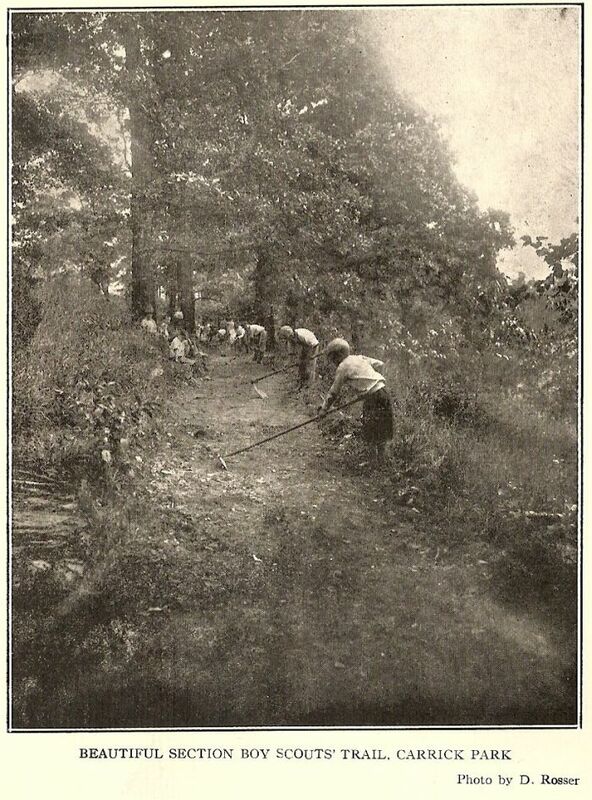 Photos are from the 1914 dedication booklet. This page was last modified on 28 March 2014, at 09:51.